Thailand fashion jewelry Manufacturers use a lot of artificial pearls as well as real and cultured pearls in the production of cheap, mid range and high end jewelry. 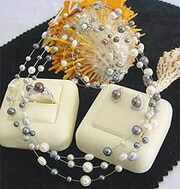 Synthetic Pearls are the least expensive of all types of pearls, synthetic pearls are actually artificial pearls only. They are made from plastic or shell and dyed to appear in various colors. Fake pearls have been made for more than 400 years. 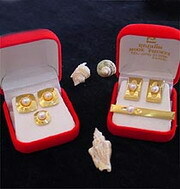 Fish scales are used to prepare pearl essence. 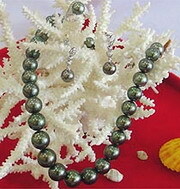 The essence is used to coat glass or plastic beads to manufacture simulated, imitation, or artificial pearls. Fakes are easy to detect. They feel smooth if gently drawn across the edge of your teeth. Natural and cultured pearls will always feel gritty or rough. Bangkok Companies is a full service product sourcing company in Thailand. 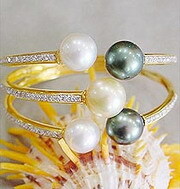 For All your artificial pearl jewelry needs please email bangkokcompanies@gmail.com with your requests. We are producer of hand made products - rings, bracelets, pendants, earrings, and other accessories - that made of good quality swarovski crystal and pearl, also using good quality beads from Japan. We are continue design our products every 3 months. During the period, we may change to other colors for new look and for your choice. Please visit our web page to see new collection. We are manufacturers, wholesalers & exporters. We make your orders with best quality & give best price & export all around the world. Our main products is all of kinds silver jewelry & synthetic stones, onyx, turquoise m. O. P chalcedony, pearls etc..100% guarantee for best quality & delivery time. the glory Co., ltd is sterling silver manufacturer and exporter in Thailand. We design and produce high quality and fascinating sterling silver. We manufacture our sterling silver jewelry to satisfy our client's need. Our products are manufactured with our own unique design or designs provided by our customers. Y & J Gems is sterling silver jewelry manufacturer which was found in 2001, located close to the new international airport in Bangkok. We produce excellent quality of 925 silver earrings, pendants, rings, bracelets, necklaces, brooches with cubic zirconia, pearl, maracsite, onyx, enamel, mother of pearl (shell), and etc. We provide a wide range of goods for wholesaler of jewelry. Not only do we have our own designers but also open molds for customers' designs. Y & J Gems is a family run business with family members in jewelry industry for more than 15 years of experiences. The company has around 300 skilled employees and with a well formed production line, we are able to produce 200,000 pcs per month.